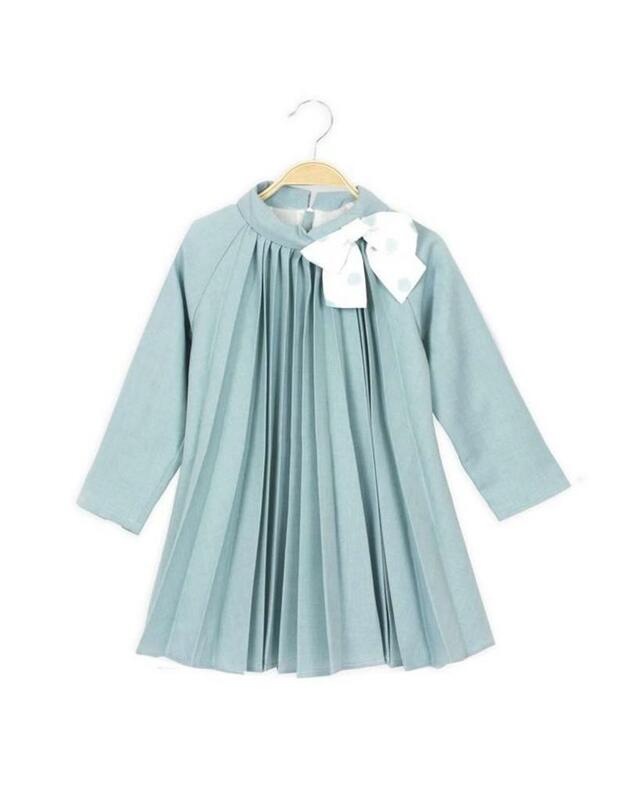 This mint free flowing pleated dress by Dadati has a folded over collar with attached white bow, back zip fastening and is fully lined with lightweight cotton. 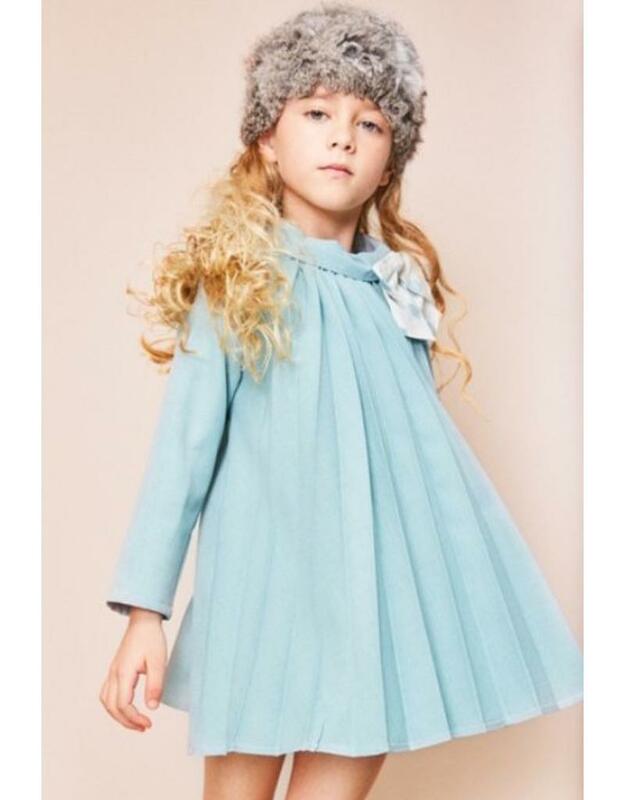 This gorgeous textured teal colour dress from Fina Ejerique, has darker teal faux fur front pockets, matching front ribbon bow, is fully lined and has a zip fastening on back. Girls dusty pink dress by Dadati. This free flowing dress has a grey polka dot ruffled collar and cuffs, detachable grey pom pom and is fully lined. 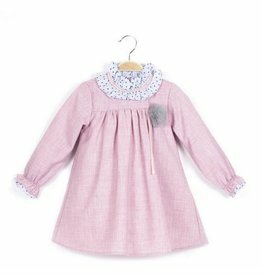 Girls pale pink and white checked dress by Dadati. 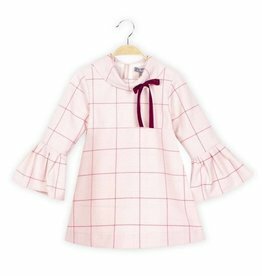 It is fully lined in lightweight cotton, has long bell sleeves, a burgundy grid pattern with matching bow on the wide fold over collar. Younger girls mint dress by Dadati. 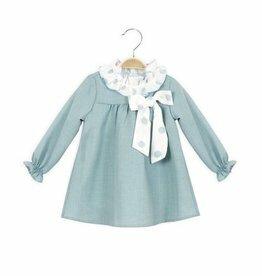 This soft flowing dress has a white ruffled collar with dots, matching large bow and gathered ruffled cuffs.